Product prices and availability are accurate as of 2019-04-20 18:34:29 EDT and are subject to change. Any price and availability information displayed on http://www.amazon.com/ at the time of purchase will apply to the purchase of this product. American Lighting GC-20-47-DB LED Canopy Industrial Series, Ceiling Mount, 39-Watts, 120-277V AC, 2500 Lumens, 4700K Bright White, Dark Bronze. American Lighting's canopy lights provide efficient lighting with low maintenance. Available in a low profile design for confined work spaces. The rugged aluminum housing with UV resistant powder coat finish offers outstanding corrosion protection! 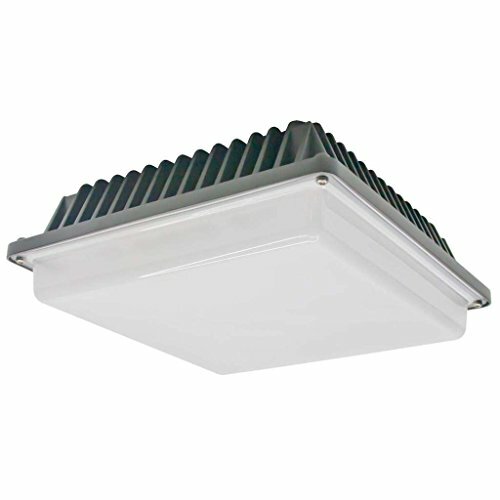 These long life LEDs last up to 50,000 hours and are Energy Star rated, c/UL/us listed and IP65 protected. Requires T20 Torx security bit for installation. 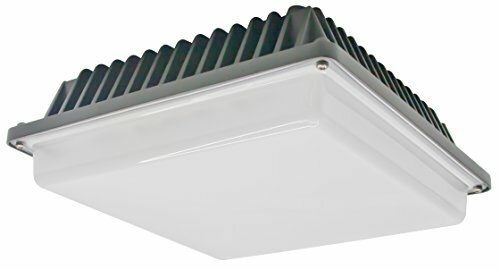 Backed with a 3-year warranty, these canopy lights are the perfect solution for any ceiling mount application. Founded in 1989, American Lighting, Inc. manufactures a wide range of lighting solutions for your residential, commercial and specialty lighting needs. We pride ourselves in being a lighting solutions provider by offering our customers a broad line of innovative and high quality lighting products. Continued innovation is a core strategic initiative at American Lighting, and we are committed to developing new products by utilizing the latest lighting technologies and designs. We pledge to deliver superior customer service by employing and training a team of highly experienced lighting professionals.